Early this morning I found the endangered species signs covered in seaweed as well as tire and dog tracks in the nesting areas. The vandalism happened sometime overnight, between 6 pm and 6am. 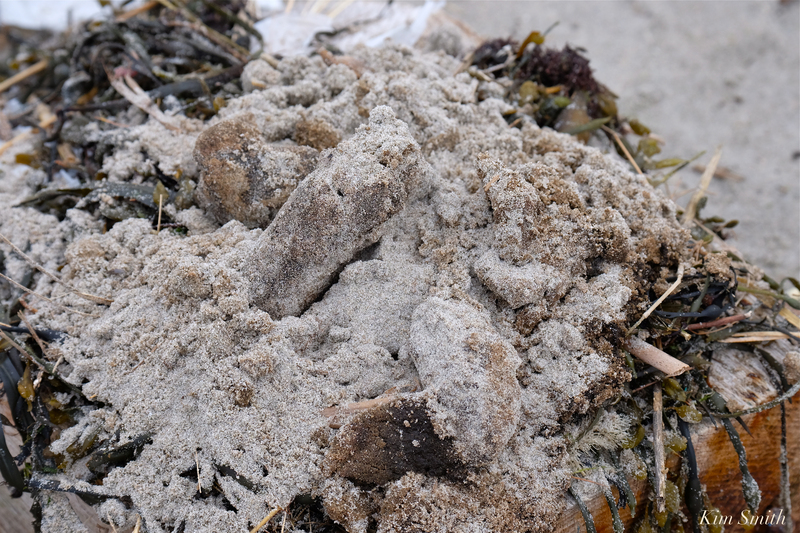 The grossest thing were the poles bent over, with a wooden box holding down the roping, and on top of that, a huge pile of sand-covered DOG POOP. There was so much poop it had to have been collected. I cleared off the signs, but rubber gloves and/or a shovel are needed to remove the dog poop on top of the wooden box. One pair of Plovers has already been forced into the parking lot by dog owners not properly managing their dogs. 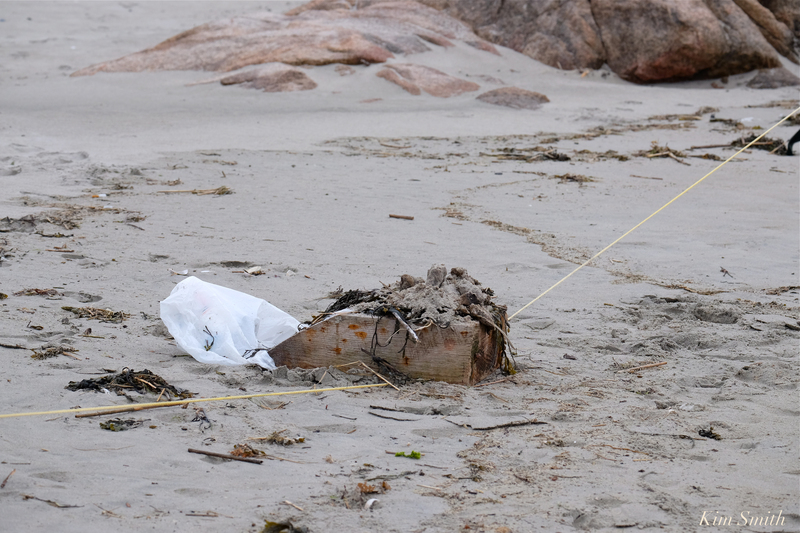 There is at least one more pair of PiPl, and The Bachelor, making use of the roped off nesting areas. It would be a heartbreaker to see a second pair forced off the beach and move their nest into the parking lot, too. 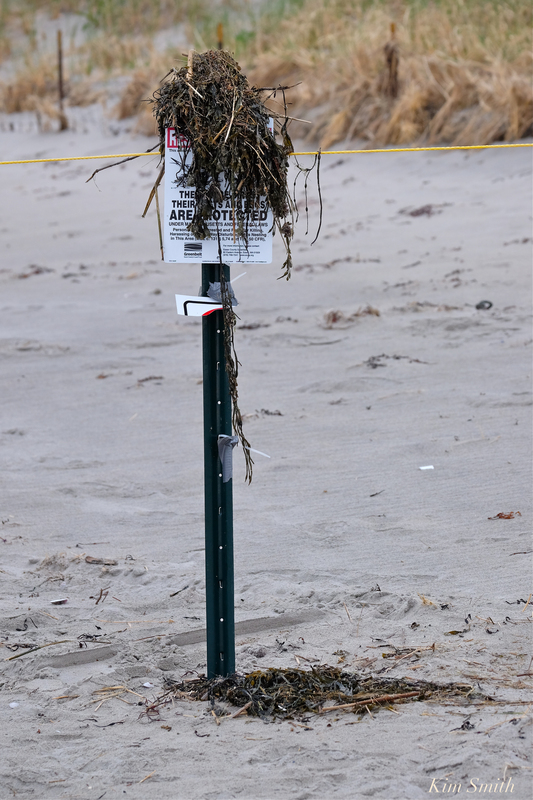 Please call 911 if you see anyone harassing or harming the Piping Plovers, or vandalizing the nesting areas on the beach or in the parking lot. Thank you so very much. 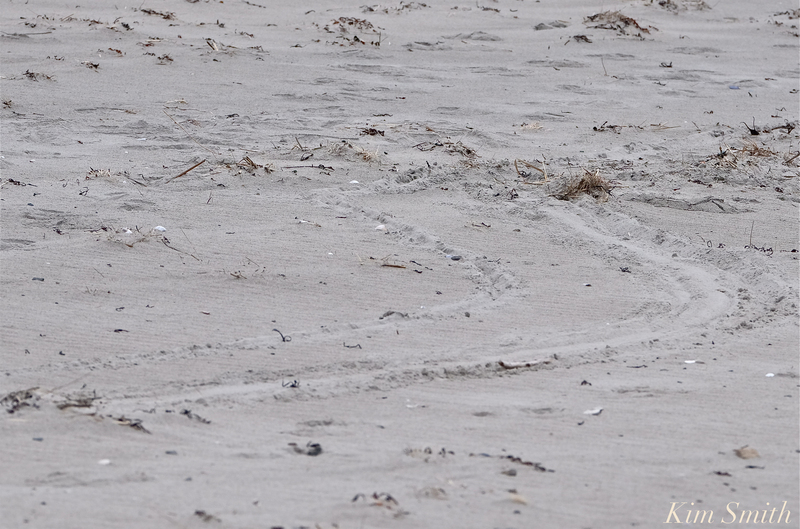 Tire tracks in the Piping Plover nesting area #3. 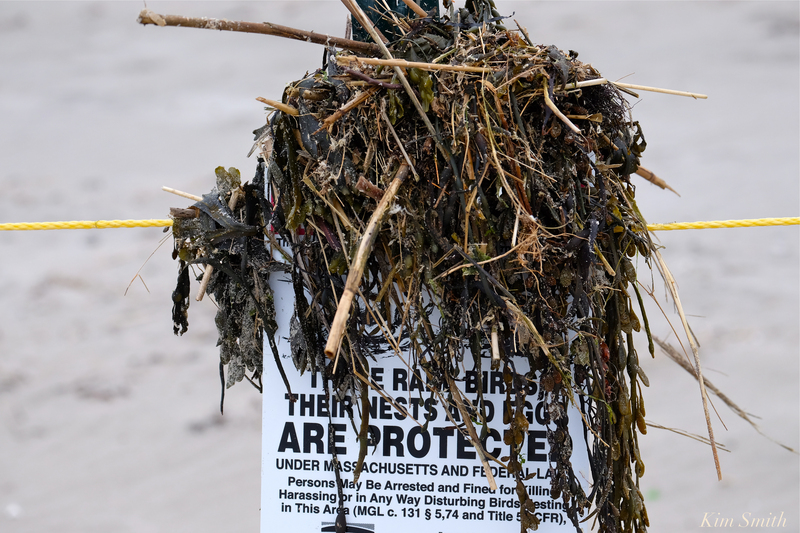 This entry was posted in Birds, Birds of New England, Cape Ann Wildlife, Life at the Edge of the Sea, Piping Plover and tagged Beautiful Birds of Cape Ann, Charadrius melodus, dog poop, dog poop on beaches, Good Harbor Beach, Piping Plover, Piping Plover nest, Vandalism Piping Plover nesting area on May 15, 2018 by Kim Smith. That is just horrible. Classic behavior in this time of Trump where everyone thinks that they can do whatever they want regardless of the consequences to anyone or anything. I am so sorry. We need cameras there!! Kim, I so enjoy following your blog and I was so sad to read about the damage and disregard for these special beautiful birds. Thank you for all your hard work and time in protecting and advocating for them. Your community is so lucky to have you.